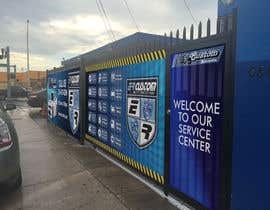 The fence banner must include the logos and the list of services we provide, words and colors must visible and evenly spaced. I will provide you with a website you can take a look at, so you can have an idea of the type of design I am looking for. 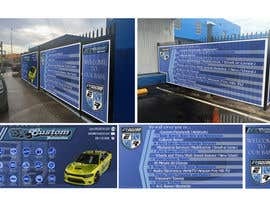 The website is www.fencescreen.com. I like the symbols for the services but more interesting. These are the list of services we provide and that should be added to the banner along with the logos. #17 go through it sir. Working on it! Please wait until end! The dimensions are not very clear as per the provided photographs. Can you please provide a top view or a hand drawing of top view of the overall dimension? I need the pieces of the design to fit the stated dimensions. I need a graphic that will flow across the fence. how may hight all banners? Do you accept PDF? This make the File Size smaller than PSD. So you would like a banner designed for each fence ? Yes, but I need the pieces of the design to fit the stated dimensions. I need a graphic that will flow across the fence. Hi, in which format do you want the design? How can I submit it?